FINISH Society is managed by its Governing Body (GB) headed currently by a retired senior bureaucrat and comprises of retired bureaucrats, development professionals and experts. FINISH GB has taken over the responsibility of supervising program activities, interacting with state & central governments and expanding the scope and reach of the program. The GB meets at least once in three months. The FINISH project involves around 60 Public and private partners in 10 states of India, led by FINISH Society and WASTE. 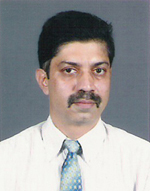 Mr. S. V. Bhave is Chairman of the Governing Body of FINISH Society and is associated with FINISH since the beginning. Mr. Bhave is a retired I.A.S Officer and has served for a long period in J&K. Other than that he also served as a Faculty member in The Lal Bahadur Shastri National Academy of Administration, Mussoorie [LBSNAA]. 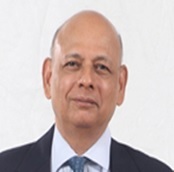 He also served as the Executive Director in charge of Vigilance & Security at Gas Authority of India Ltd. (GAIL) New Delhi and Joint Secy. in Department of Heavy industry Govt. of India. Mr. Bhave has also served as a member on the Boards of many organizations. He carries with him very rich experience in dealing with development issues as well as regulatory administration. He is widely known for his contributions and has been instrumental in the expansion and FINISH Society's initiatives. 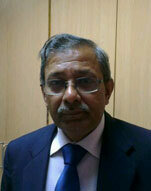 Mr. A. Sahasranaman is a retired IAS from 1973 batch. 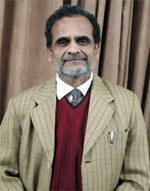 He has served in various positions of the Government of Jammu and Kashmir including Secretary to the Government and of Divisional Commissioners, Jammu Division. He has been intimately associated with the leather industry of India and South East Asia. While in the IAS, he served as the first Executive Director of the Council for Leather Exports, an industry-run export promotion organization, sponsored by the Ministry of Commerce, Government of India. His contributions towards changing the export profile of the Indian leather industry, substantially enhancing the share of value added leather products in it, are well recognized. Mr. Sahasranaman has served at various other prestigious positions such as its Principal Secretary, Industries and Commerce Department, J&K, Honorary Director of Indian Leather Industry Foundation, Chennai, Vice Chairman of Chennai Environmental Management Company of Tanners (CEMCOT) and Deputy Team Leader and Advisor to the EU-India Trade and Investment Development Programme. Widely traveled and well versed in all aspects of the leather industry in India and elsewhere in the world, Mr. Sahasranaman is a post-graduate in Economics. 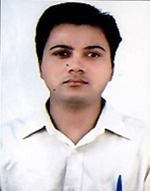 He has authored numerous articles published in prestigious journals in India and abroad. He has published one book on Environment Management in Tanning Industry in India and co authored a book on Occupational Safety and Health Standards in Tanneries in South East Asia. His guidance and leadership to the FINISH team is invaluable. Mr. Gopalakrishna is a graduate in Fisheries Science (UAS, Bangalore) and holds Post Graduate Diploma in Management (Agri) from IIM-Ahmadabad. He is a certified Associate of Indian Institute of Banking and Finance. He has also undergone Faculty Development Programme in University of Wolverhampton (UK) and Food & Agri-Business Management Programme on International Agriculture (Cornell University) (USA). 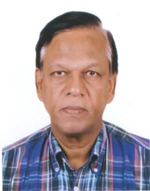 He worked as an officer in IOB, Chennai and as Senior Manager (Marketing) in Gujarat Fisheries Co-operative Association, Ahmadabad during 1977 to 1980. He later joined Reserve Bank of India in 1981 and switched over to NABARD when it was formed in 1982. He has worked in the areas of watershed development, rural and agricultural innovations, micro credit and rural infrastructure financing in various capacities. 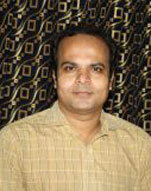 He also worked as Faculty Member in Bankers Institute of Rural Development, Lucknow (1994-1999). As Chief General Manager in-charge of Assam Regional office of NABARD (2005-2008) his guidance gave a boost to Self Help Groups, micro credit, rural entrepreneurship, non-farm sector and infrastructure financing. He retired from NABARD in 2013 and since then is freelancing as a Development Consultant. 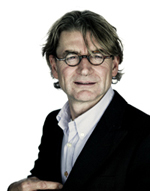 His expertise in the financial and rural sector has been immensely helpful for our strategic decisions. Mr. Ramanathan is a retired IAS officer of the 1973 batch, served as Secretary of Chemical and Petrochemicals at Govt of India. He served as Union Finance Secretary of Govt of India. In his 36 year distinguished career in the IAS, he has served in several key positions with the Government of Tamil Nadu and Government of India. 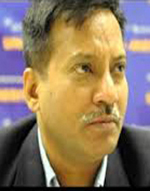 He served as Chief Executive Officer of the Central Silk Board (Joint Secretary level in the Ministry of Textiles. Mr. Ramanathan has MSc in Nuclear Physics from Andhra University and MBA in Financial Management at Madras University and also has MPhil in Development Economics at Cambridge University and he is also an Associate Member of Institute of Cost and Works Accountants of India. He holds Bachelor Degree from Loyola College, Madras in Physics, Mathematics and Chemistry. 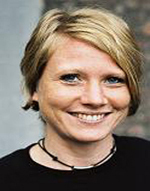 Dr. Singh is presently CEO of 3R WASTE Foundation (India) � an organisation working in partnership with WASTE Netherlands and Collaborative Working Group on Solid Waste Management based in Switzerland. Dr. Singh earlier served as Chief Technical Adviser for the Water, Sanitation and Infrastructure Branch of UN-Habitat from January 2004 to December 2008. In his role of Chief Technical Adviser, he contributed significantly to policy dialogue with partner countries in Asia and the Pacific and in the design and implementation of a large number of water and sanitation initiatives. 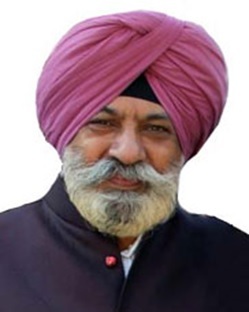 Since December 2008, Dr. Kulwant Singh has continued to support the work of UN-Habitat as a consultant until December 2015, with particular reference to the urban basic services comprising, water, sanitation, and Solid waste management. In this role, he has supported the Urban Basic Services Branch in the formulation and implementation of projects and dialogue with partner national and city governments. 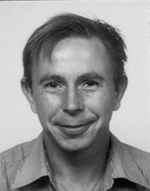 He has also significantly contributed to the normative work of the agency by contributing to papers and publications. He also represented UN-Habitat in various regional and international fora on urban basic services. TEACHING, TRAINING AND CAPACITY BUILDING ENGAGEMENTS/INTERESTS Dr. Singh has been a regular visiting faculty at UNESCO-IHE Institute for Water Education, Delft, the Netherlands and Institute for Housing and Urban Development (IHS), Rotterdam, the Netherlands from 2004- 2012. Mr. Abhijit Banerji is associated with FINISH right from the beginning in multiple roles. 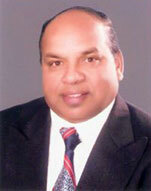 He serves as Member, Secretary at the Governing Body and Director for FINISH Program. He has more than 23 years of professional experience with 16 years in sales administration and business development experience with the corporate sector in Fast Moving Consumer Goods, Telecom and Financial Services and another 7 years with the social sector in micro-enterprise development, women empowerment and agri-marketing. Prior to joining FINISH he was the Zone Head for the micro-insurance business of TATA AIG Life Insurance in East and North India. He has been instrumental in the detailing of FINISH from the beginning till date. His passion for bringing change at the grass root level is an inspiration for the team. 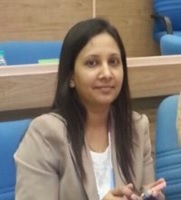 Ms. Sneha is a member of the Governing Body of FINISH Society and holds more than 8 years of experience in working in corporate and development sector. She has done Post Graduate Diploma in Agri-Business Management. 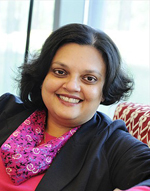 She has worked with Future Group and Agri-input sector and has gained many accomplishments. She then joined the FINISH heading the research team here and also manages sanitation and waste management projects of Maharashtra and Karnataka. She has very rich experience of working with Governments, Agencies and Corporates and has developed an expertise in the field of sanitation. The Governing Body is aided by the Program Management Board (PMB) for supervising implementation of FINISH Project. The Program Management Board meets at least twice a year. PMB comprises of retired bureaucrats, development professionals, global bankers, insurance personnel, independent experts etc. PMB provides broad guidelines, monitors implementation, reviews progress and makes course corrections as warranted for the FINISH Program.